As much as I appreciate the financial advice contained inThe Total Money Makeover: Classic Edition: A Proven Plan for Financial Fitness by Dave Ramsey, I disagree with him on one thing: I never pay cash when I can pay for something with a credit card. Granted, this is only good advice for someone who has the discipline to pay off a credit card each month, but although I have heard Mr. Ramsey say that no one has ever gotten rich using a credit card, I have received some wonderful reward items including: thousands of dollars in gift cards and cash back, an airline ticket to New York City, an airline ticket to Grand Rapids, an airline ticket to Nashville, and nearly a month's worth of hotel stays. If you have the discipline to only spend what you would spend if shopping with cash and have the discipline to pay off your credit card each month, then your next step is to decide what type of rewards card you would like. There are rewards cards of all types available. Discover's no annual fee card is my favorite. 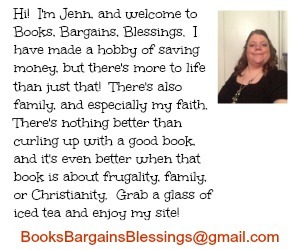 There is cash back of 1% on all purchases, and each quarter there is a different offer for that quarter where you get 5% back on all purchases (up to $1500 spent) at certain types of places. (Examples might be gas stations, grocery stores, travel). Another of my favorite things about Discover is you can trade in your cash back for a savings on gift cards. An example is I can have $90 of my cash back deducted and get $100 to Lowe's. This has been especially nice since I have been doing a lot of home repairs. Stretch that money even further! And if you sign up through this link and make ANY purchase in the next three months, you will get a $50 statement reward and then earn 1% cash back after that! Another reason I like using credit cards is the convenience. I don't have to go to the bank for cash for groceries, etc, and worry that I might lose it. Every week, I just pay off what I spent that week, and it saves me trips to the bank. (More likely I'd use an ATM and that would have fees because my bank doesn't have many of them, so that's another way my credit card usage saves me money.) I just think of it as a debit card in order to not overspend. 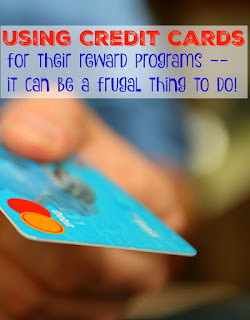 I understand people not wanting to use credit cards because of lack of self control, but if you use them wisely and pay them off so you don't carry a balance, the rewards can really help. I understand wanting to be frugal and wise with money, but if you are responsible with money, you could be missing out on some bonus rewards, and it's worth looking into because the best price in life is "free". I agree Jenn! I have received some great rewards using a credit card! !